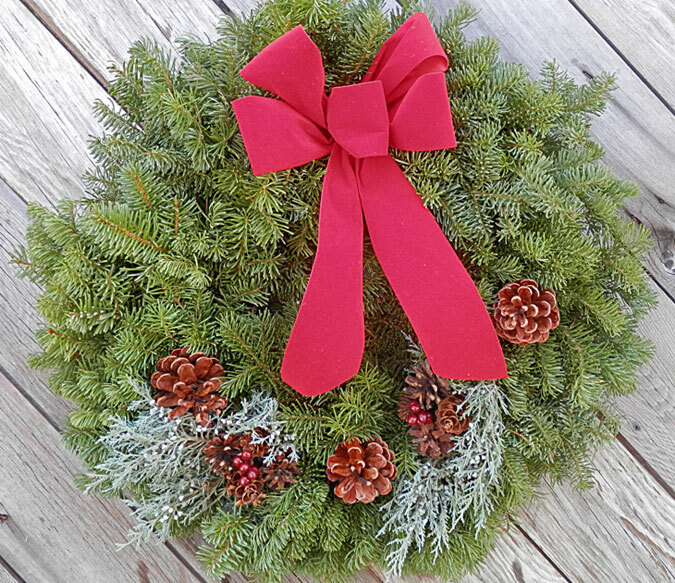 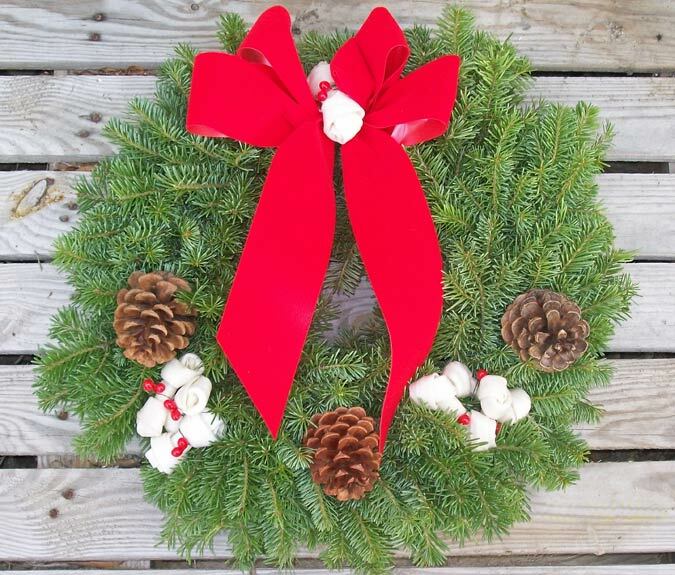 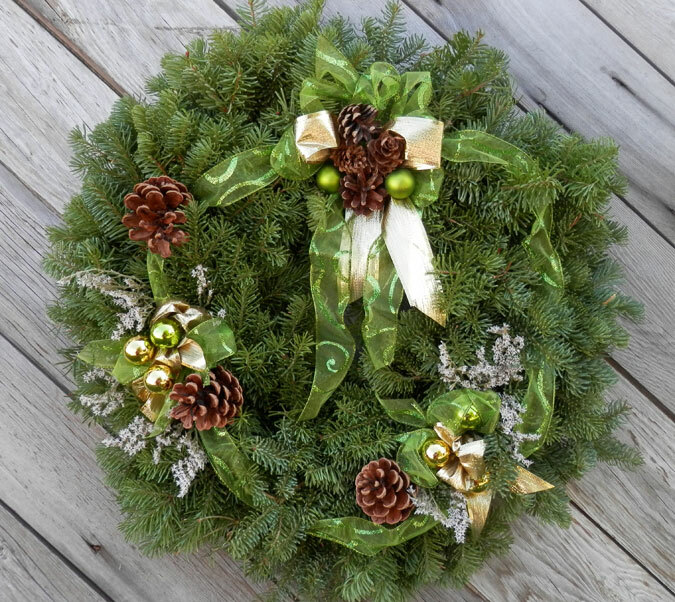 Our wreaths are handcrafted with three varieties of freshly harvested fir boughs from high in the Bitterroot Mountains providing a thick and varied texture. 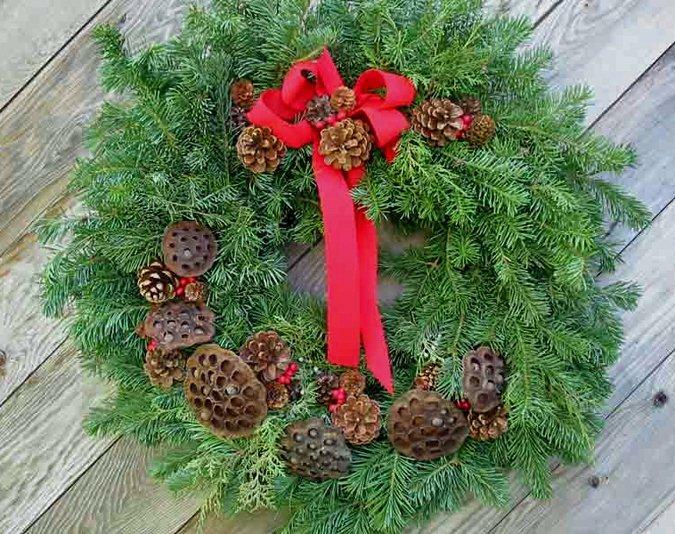 Attractively accented with a variety of cones, juniper, red holiday berries and a beautiful velvet bow the wreath adds a wonderfully festive touch to any holiday setting. 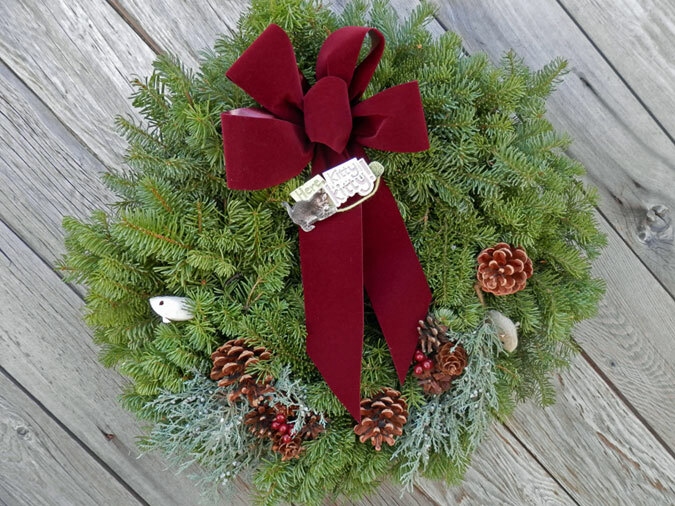 Approximately 22″ in diameter, sealed in plastic just prior to shipping to preserve that uniquely special Montana fragrance, and complete with a personalized holiday message the wreath becomes a truly cherished gift to any individual or group that deserves special attention during the holidays. 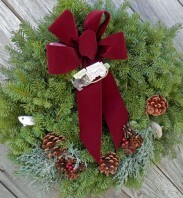 Choose your bow color and if you would like something special, just let us know. 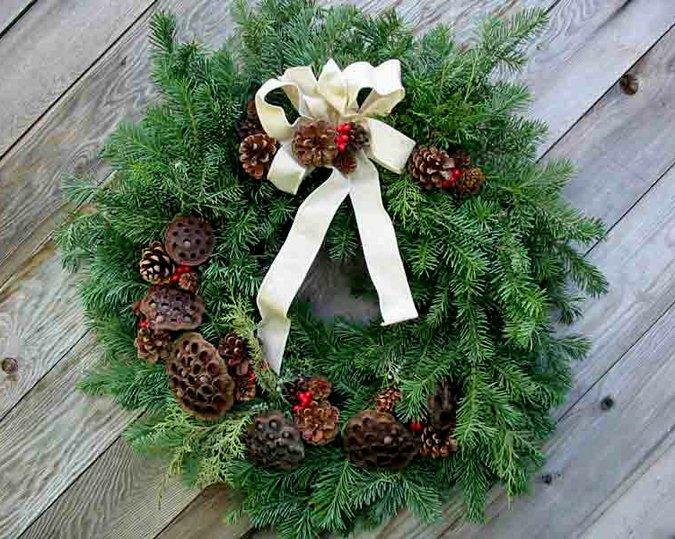 This wreath is full of all varieties of cones found in the Rocky Mountains with lots of berries and a bright ribbon. 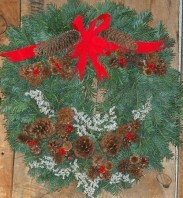 Approximately 22" wreath, decorated with bright ribbon and matching 1" round ornaments. 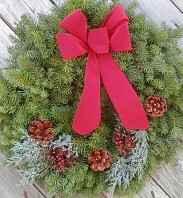 This great new shape puts a bit of class on any door. 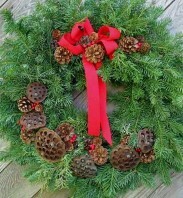 The Diamond Wreath has a large amount of cones, and berries, and comes with a great keepsake ornament. 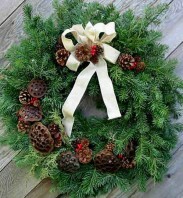 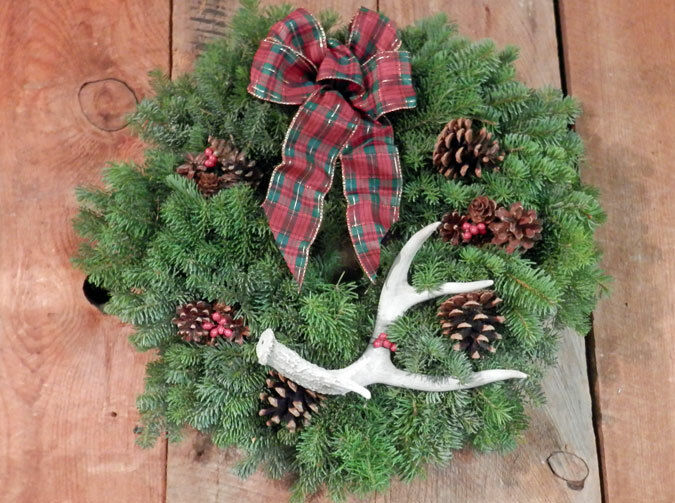 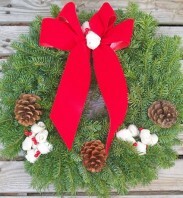 We add a natural deer horn to our popular wreath for the hunters and homes with the rustic touch. 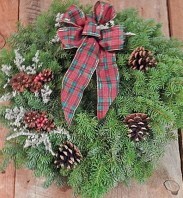 A great way to send an extra part of Montana. 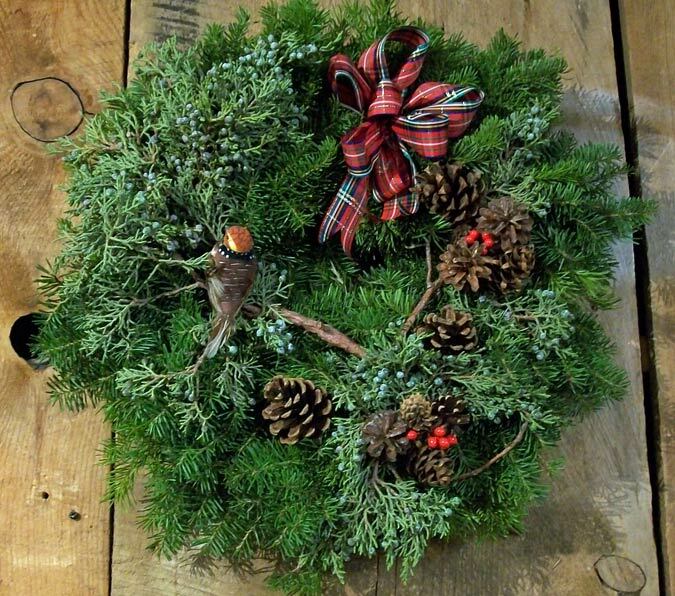 The Bird in Branch Holiday Wreath is made with juniper branches and holds a red, Christmas Cardinal. 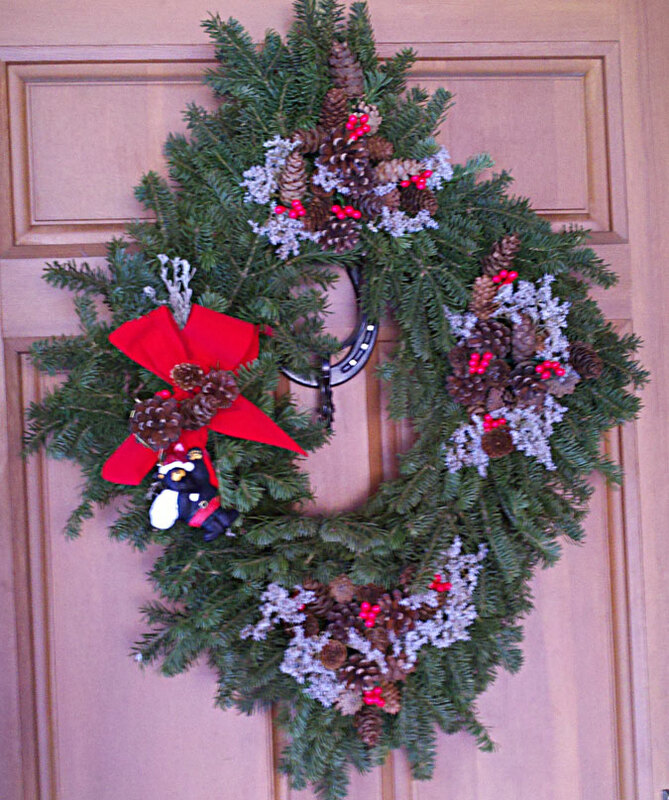 The Dog House Holiday Wreath is perfect for the home where the dog rules. 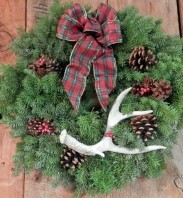 Made with rawhide chew bones, which made a great after Christmas treat. 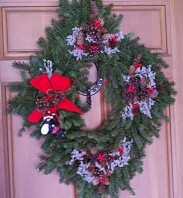 There is also an extra dog treat in the box for the "master" of the house. 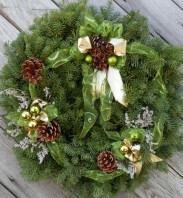 Our great fragrant wreath for the home that loves their cats. 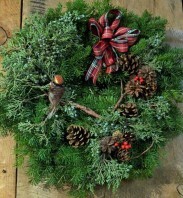 Wreath is decorated with natural cones and two mouse toys that have natural cat nip. 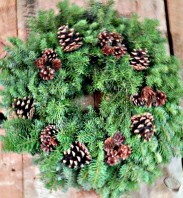 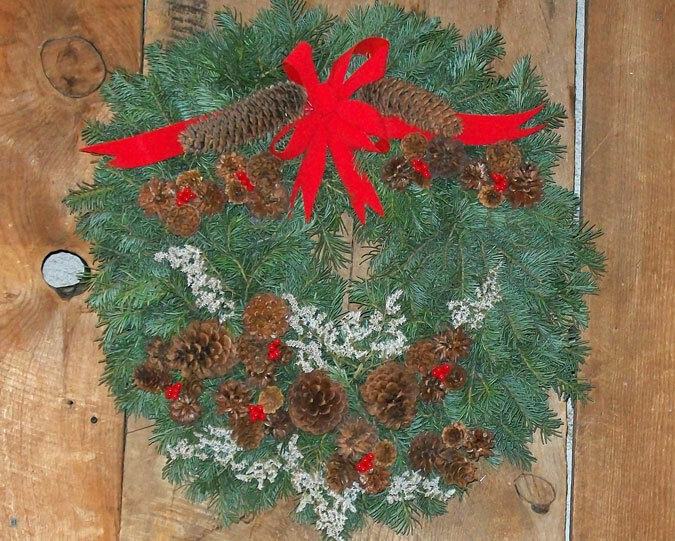 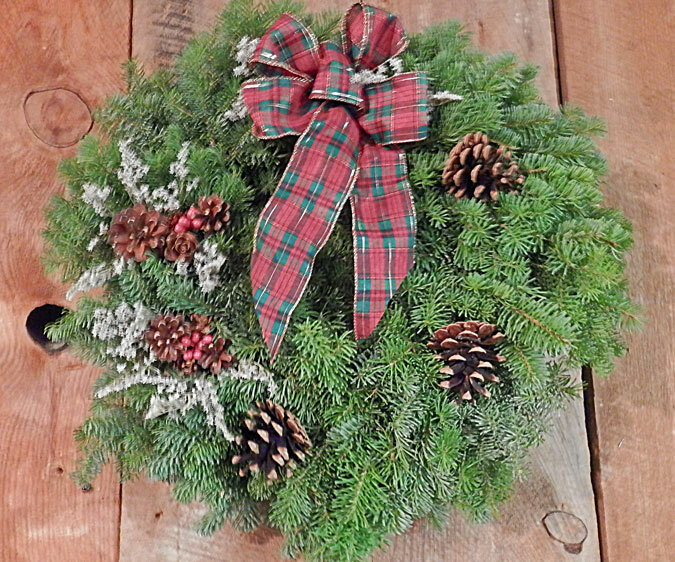 Holiday wreath of fragrant Alpine Fir. 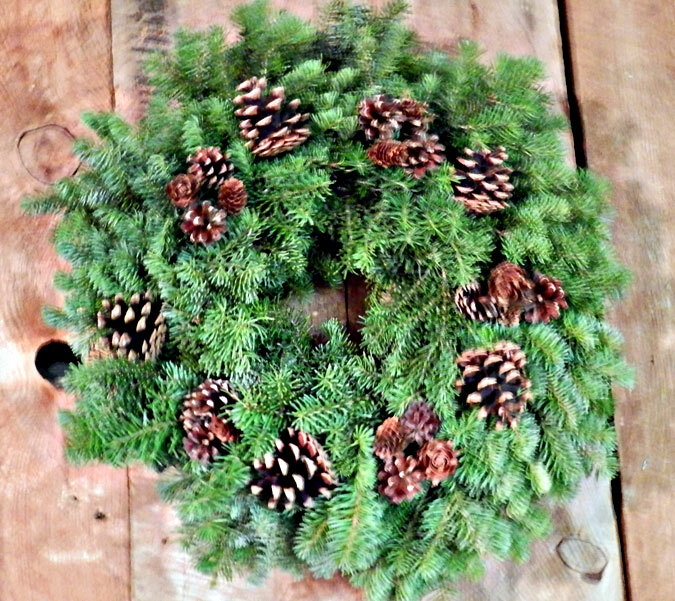 All-natural trim with lots of cones.